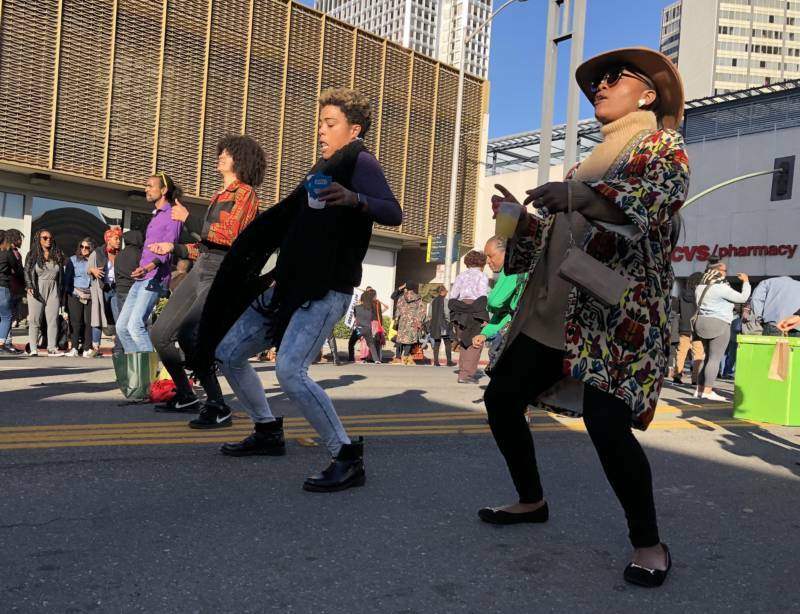 The inaugural Black Joy Parade marched through the sunny streets of downtown Oakland on Sunday afternoon. People came out to celebrate culture and community through floats, food and fun. At the end of the parade route, a family-friendly fair began. Dezell Geer, 30, of Fairfield stood near the poetry stage, listening with his family. “This is our Chinese New Year Parade,” he said. Many parents shared the same sentiment. Cherrese Brown, 35, of East Palo Alto, said she wanted her children to be part of event. Festival-goers weaved through booths featuring black art and crafts as well as nonprofits and community services. And visibility can be important, said Tiana Dorley, 21, of San Francisco. 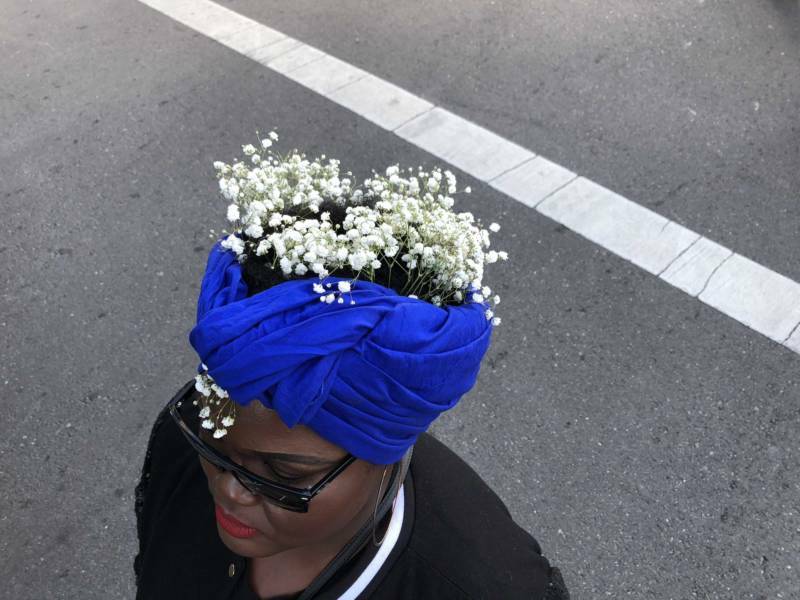 Tamarah Humphrey, 30, of South San Francisco, said the Black Joy Parade offered black people an opportunity to freely express themselves. “A lot of people spend a lot of energy telling us that we’re less than or not enough, so when you hear that all the time, it’s hard not to believe it,” she said. “To be able to hold a space of joy is something special." 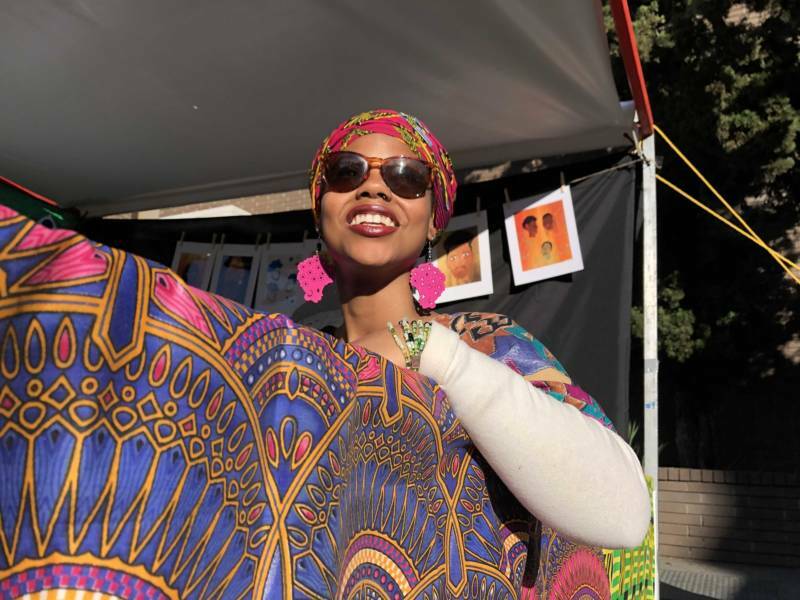 Tamarah Humphrey of San Francisco attends the inaugural Black Joy Parade in Oakland on Sunday. 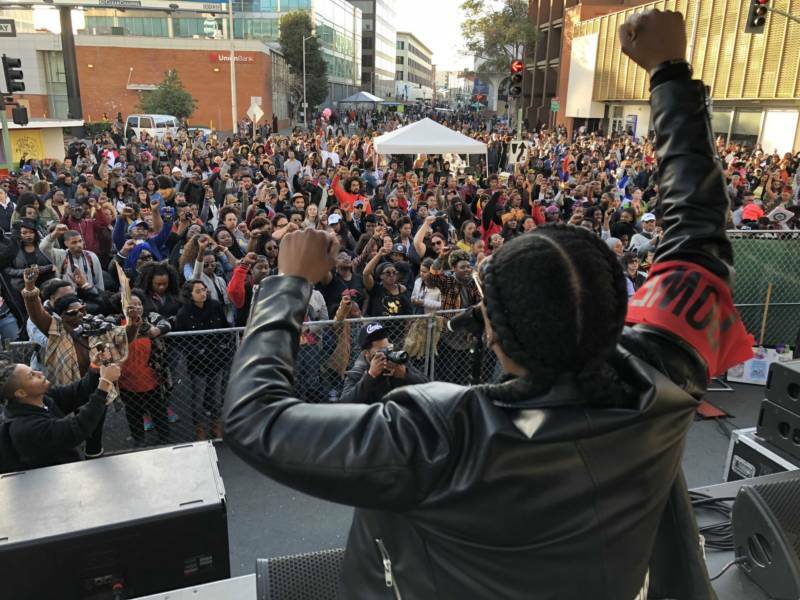 The Black Joy Parade, a celebration of black culture and community, kicked off in downtown Oakland on Sunday. Khadijah White, Alia Thomas and Malika Rubin-Davis dance by the stage at the Black Joy Parade in Oakland. 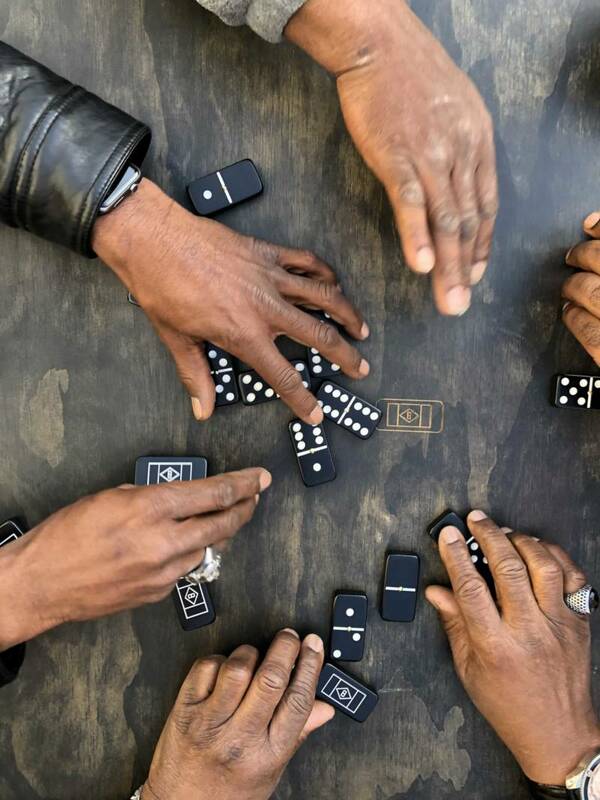 Al Wilken, Dre White, Brandon Nelson and Zac Malone play dominoes at the Black Joy Parade in Oakland on Sunday. 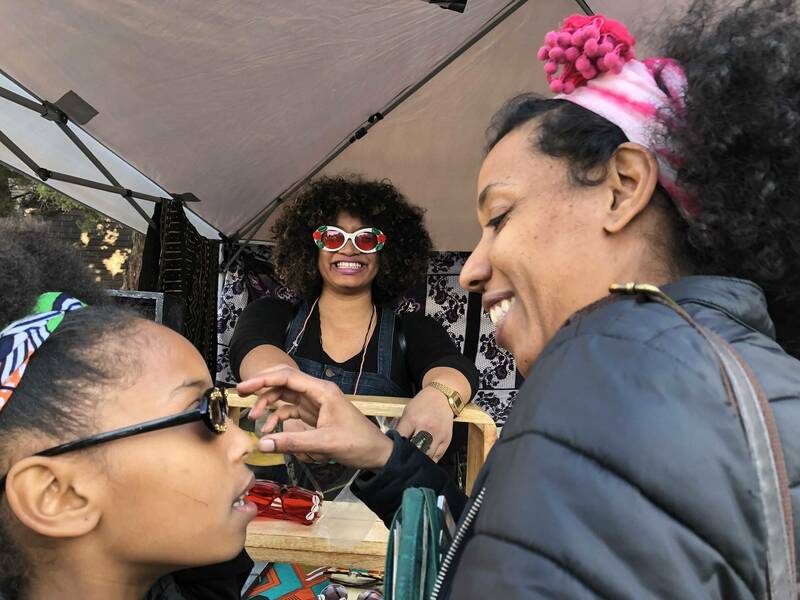 Tiana Dorley helps artists friends at the Black Joy Festival in Oakland.